As children come back from school, the first thing to strike them is HUNGER. While some may have a whole meal, some prefer snacking. When we went to school decades ago (has it been so long?? ), school was done by 4.15 and we came back between 4.30 and 5.00, ready to run for other activities. Then it wasn’t the muffins, fluffy cakes or croissants or the tetra pack juices and ready-made flavored milk that filled our tummies. We never knew white flour/maida based empty calorie – so-called goodies… What an inspiring name for unworthy junk food..(sigh). Orthodox middle class didn’t know beyond bread and jam, which was white, soft and sugary. It was never a staple then, not even a meal. Bread was initially a sick man’s food – a substitute to kanji which is porridge. The light Kanji, which is still a breakfast delicacy in many countries in south-east Asia is definitely a healthier option. But soft bread soaked in milk offered a delightful change to the fever-stricken patient. Hence, the concept of brown bread, 100% atta bread and rye bread were all beyond comprehension. Good for us! 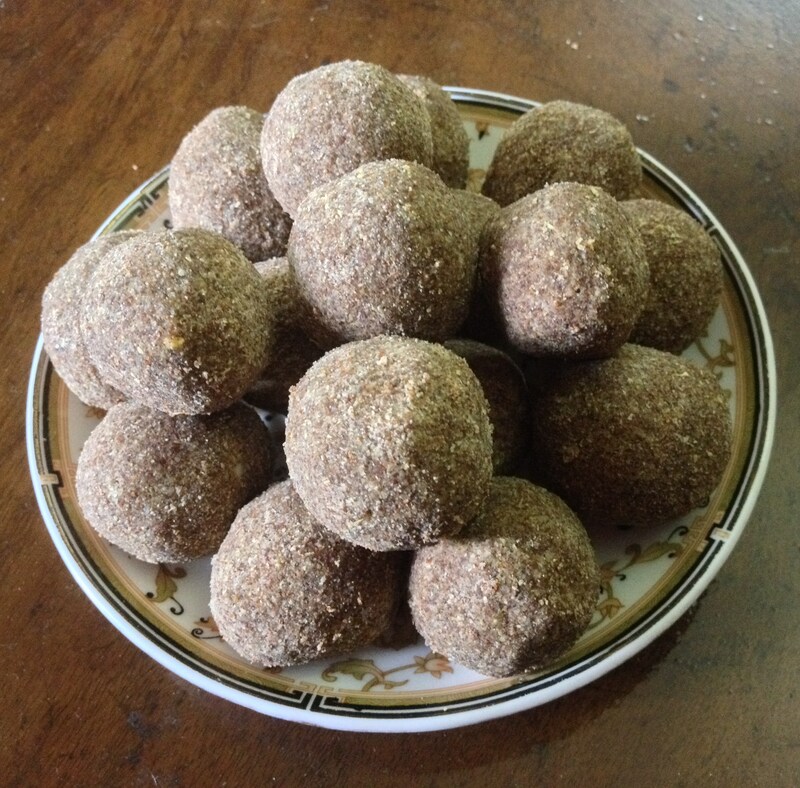 Coming to after-school snacking, different kinds of home-made urundais(sweet balls) and murukkus and other rice-lentil-millet based snacks were given as hunger busters. The beautifully shaped balls and the varied shaped fries offered distinct flavours with different ingredients each time. With the aesthetics and handwork incorporated into these true goodies, they can certainly be compared to an artisan’s handcrafted product. Those gentle hands that caressed the young ones with warmth were strong enough to create these healthy snacks not only with pure love but with pure nei/ghee/clarified butter too! 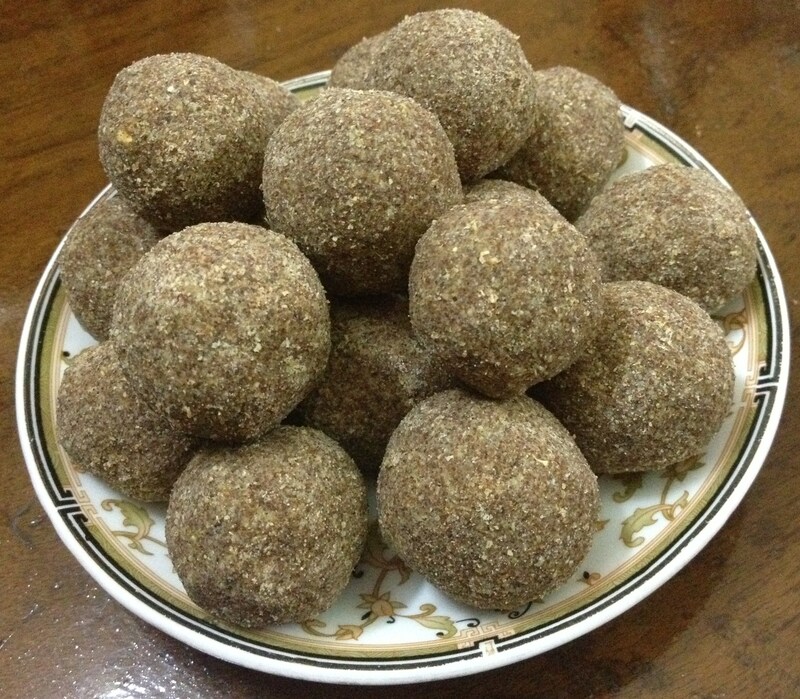 So, in honour of mothers and grandmothers who did their homework well to keep us healthy, fit and immune, this post is a millet based urundai/sweet ball. Since I had finger millet (ragi) and pearl millet (bajra) powders, I made the urundai with the both combined with roasted Bengal gram. While winter is on the way, I also added nuts to it. 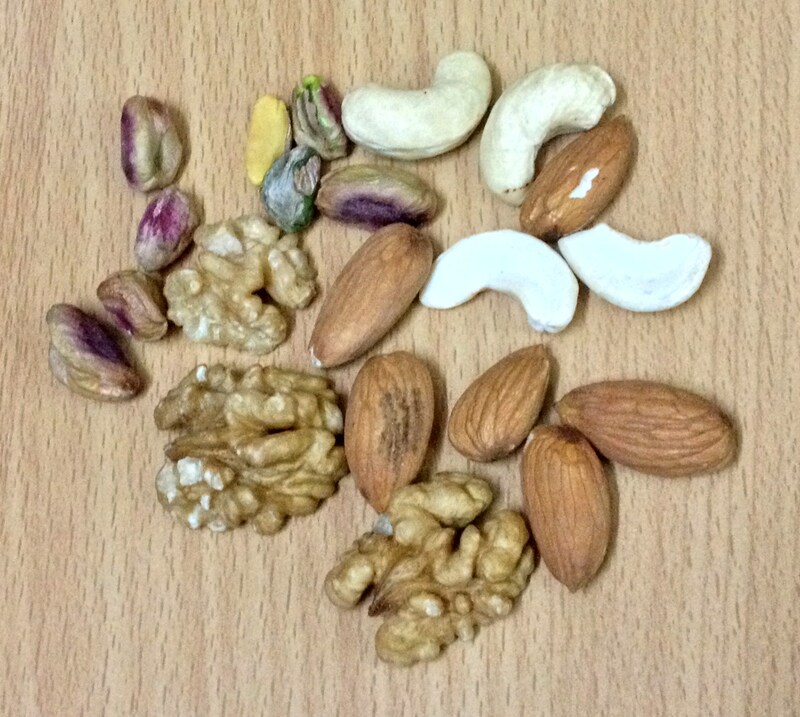 Summer or Winter, Nuts definitely contribute to the higher nutrient value of the Urundais. 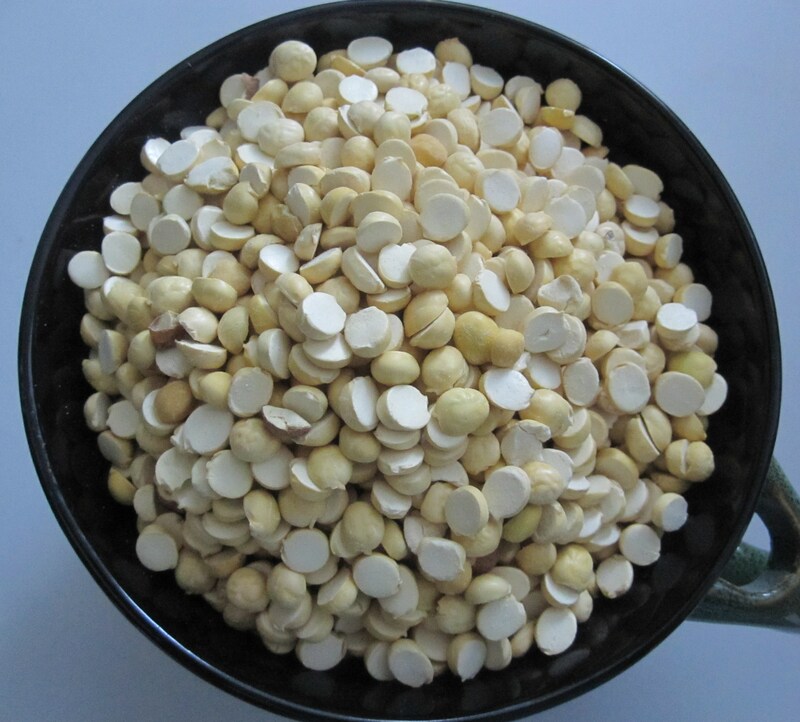 Roasted bengal gram and roasted nuts are powdered here and they also help in better binding of the sweet balls with clarified butter (nei). nei/ghee – 1 cup melted appr. 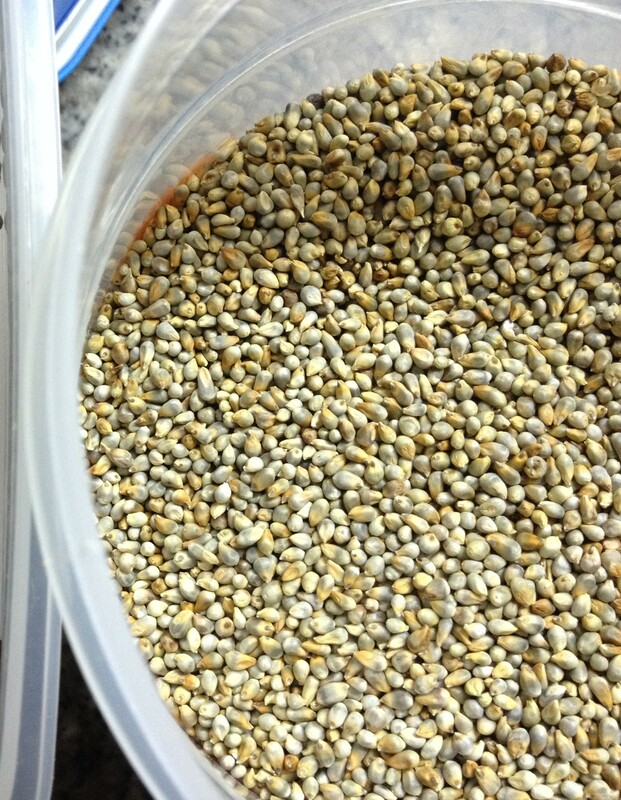 Once done, let them cool and store in an air-tight container. 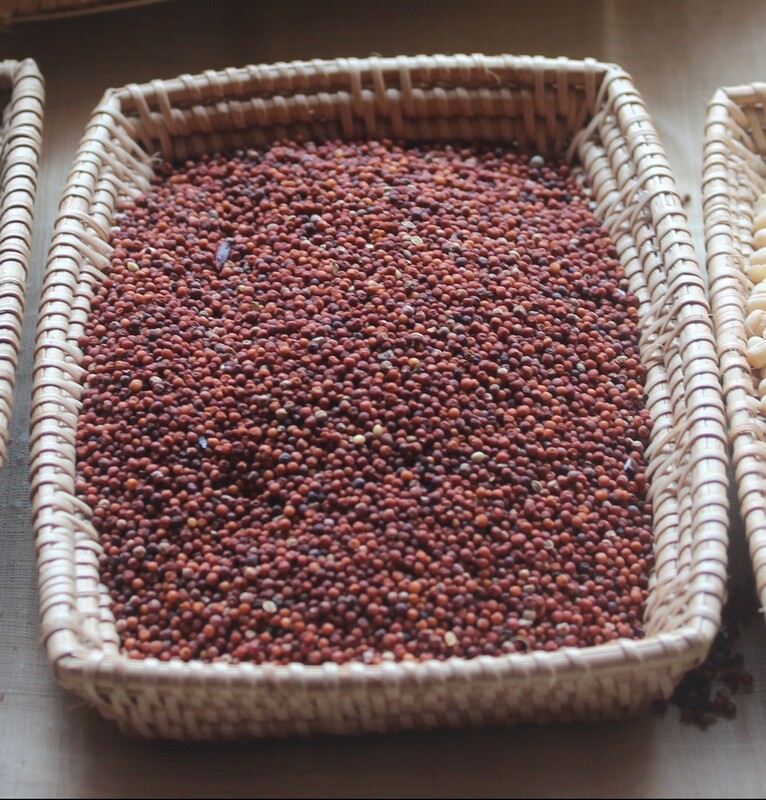 Millet powders are readily available in super markets across India. 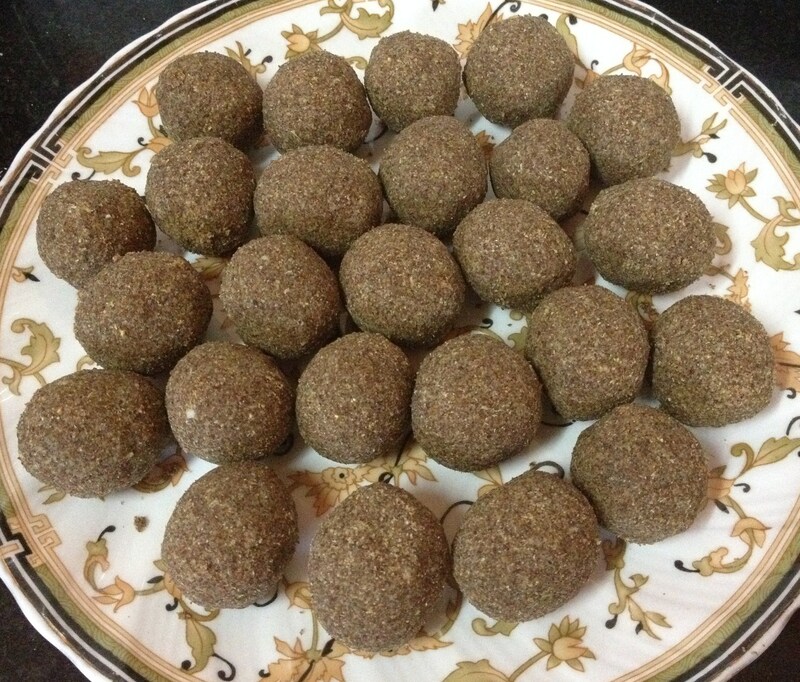 Another option is to coarsely grind the nuts fora crunchy taste in the Urundais/sweet balls. 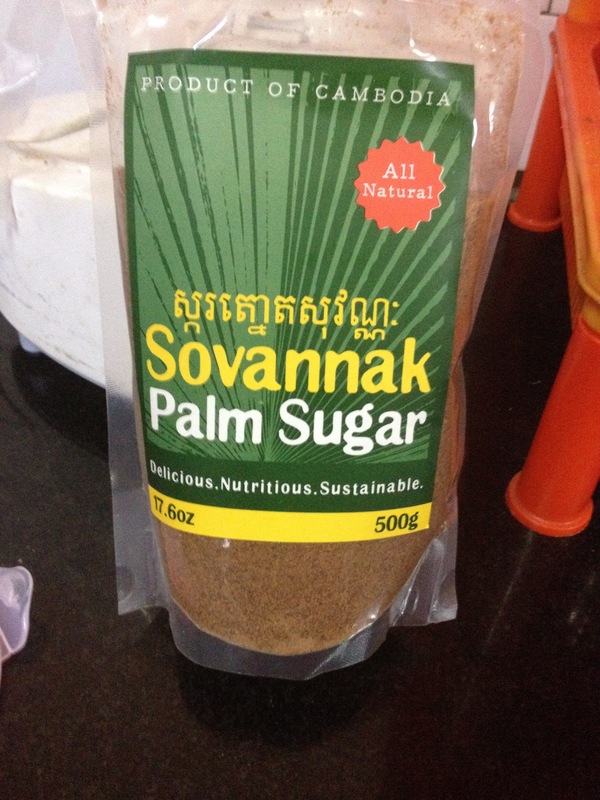 Since I had powdered palm sugar, I used it. 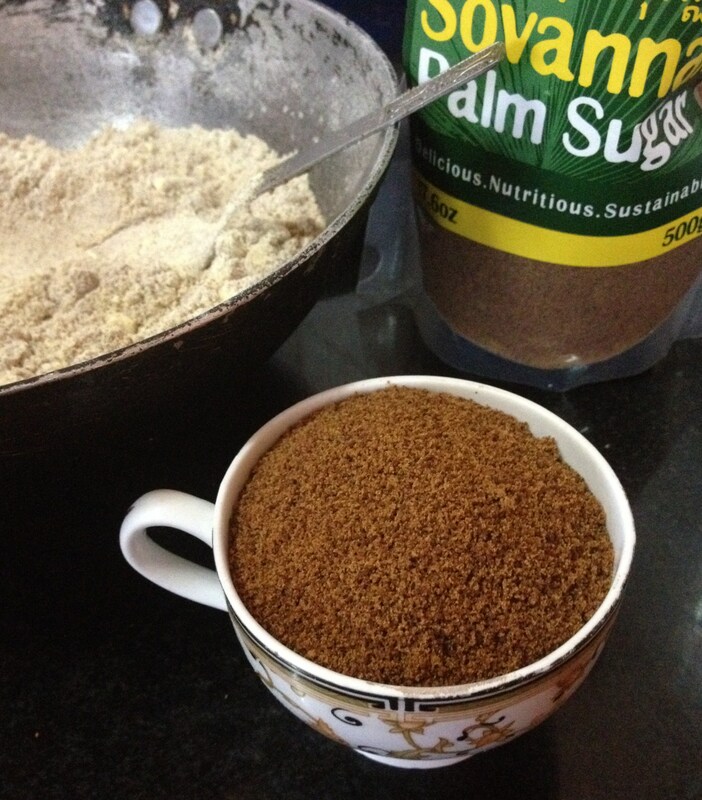 If one has unrefined cane sugar or very pure jaggery powder without mud, these can be used too. 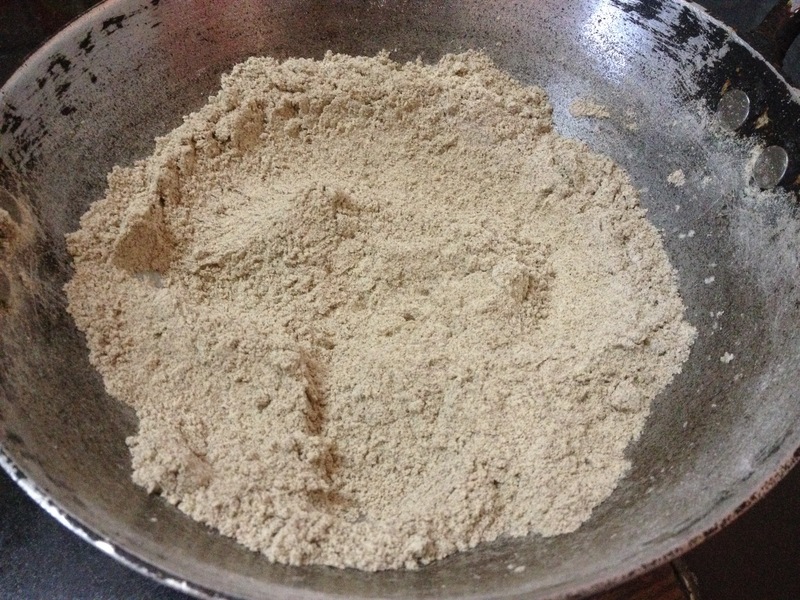 Easily available white sugar can be powdered and used. Thanks for this very good recipe. Great you liked it. Thanks for the good words.